Mayfair Injury Center provides comprehensive injury care for patients hurt while working, driving or just going about their day. Wellness care, nutritional counseling and health maintenance are also vital aspects of our practice. 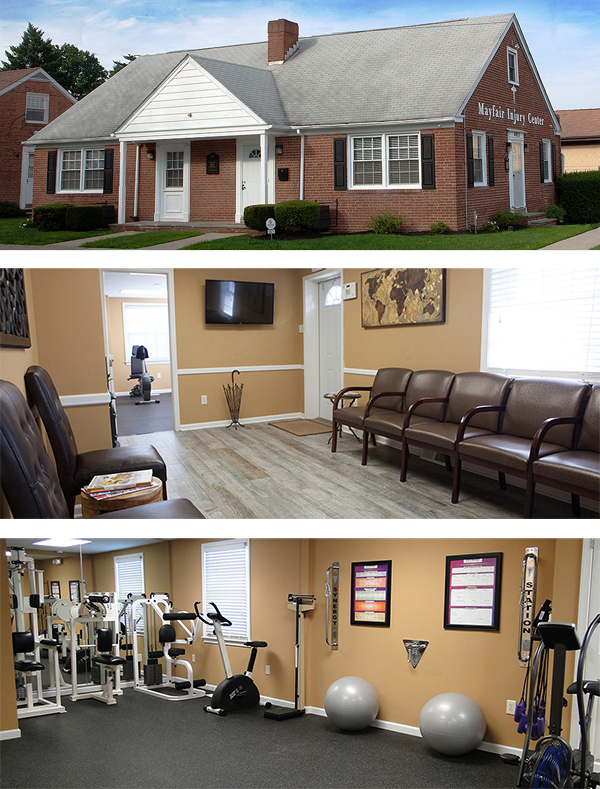 Conveniently located in the Mayfair section of Northeast Philadelphia with plenty of free parking and immediate appointments available. Most insurances accepted. Transportation to our office is also available.